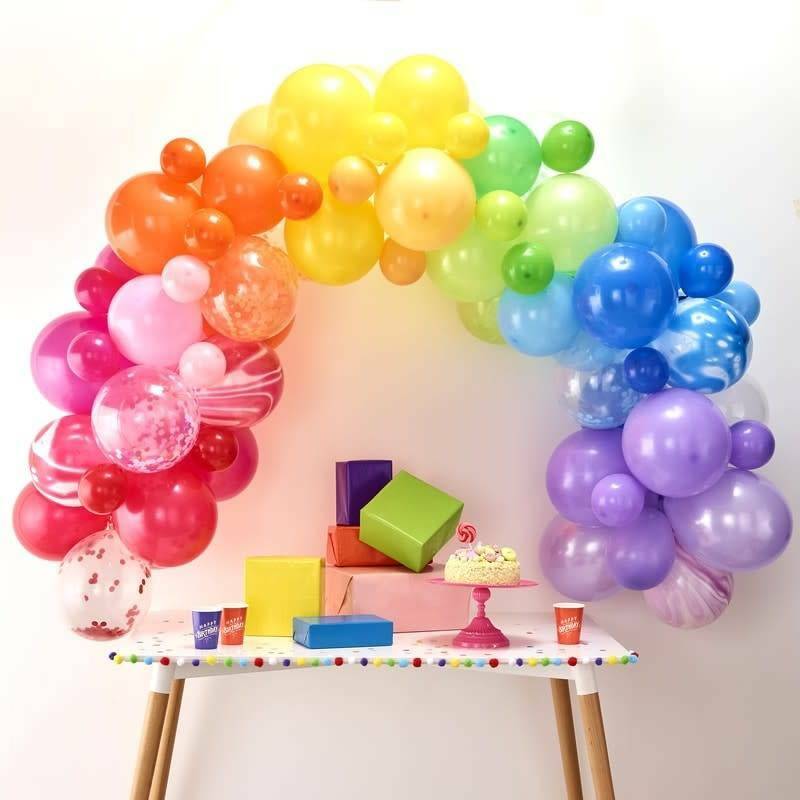 A great addition to any party a, Rainbow balloon arch will be a focal point at any celebration! 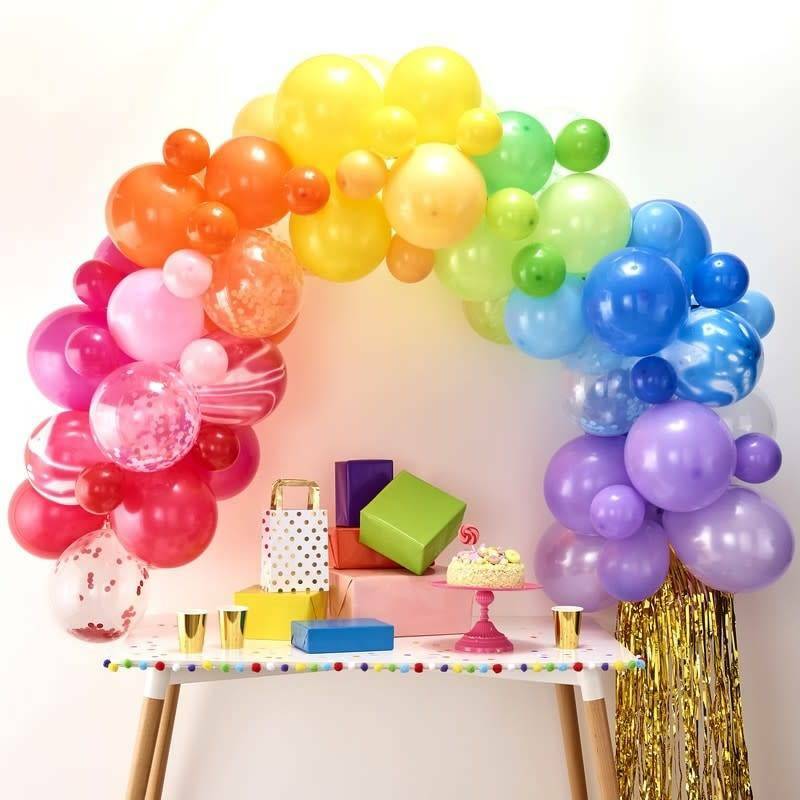 Our great balloon arches are sure to wow your guests and get them talking and will be a great addition when decorating your venue. 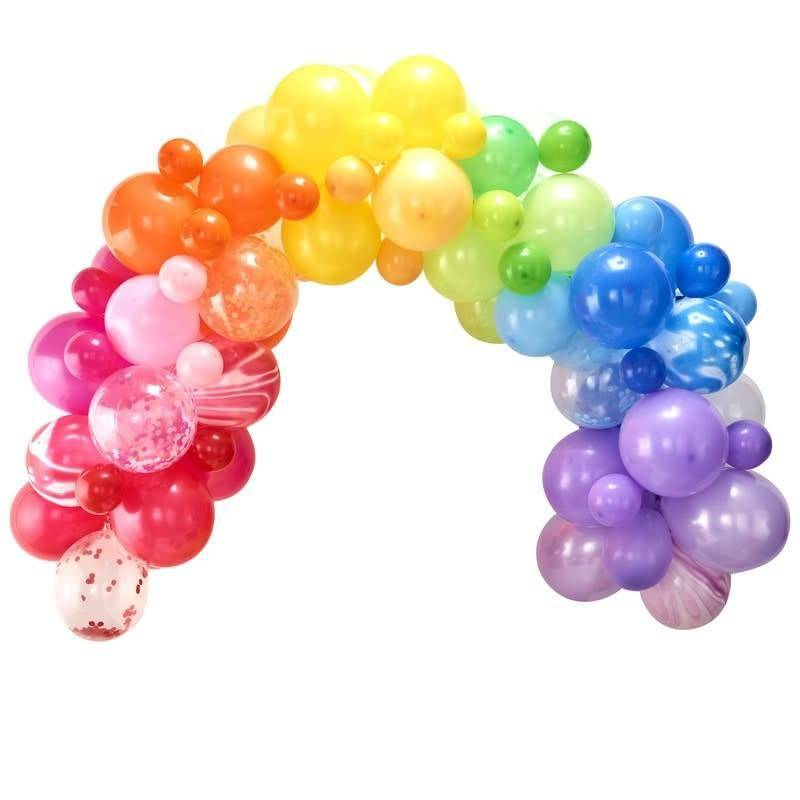 Our multi balloon arch has 85 balloons which consists of - 5" & 12" balloons in the following colours, pink, purple, red, blue, green, yellow and orange and 4m balloon tape and glue dots.